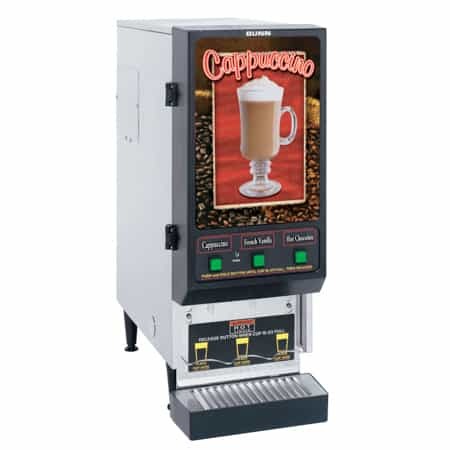 The Bunn iMix-3 Instant Cappuccino Machine with 3 Hoppers revolutionized to instant cappuccino machine sector when it came out a few years ago. The sweeping, curved front panel and stunning graphics were game-changers. 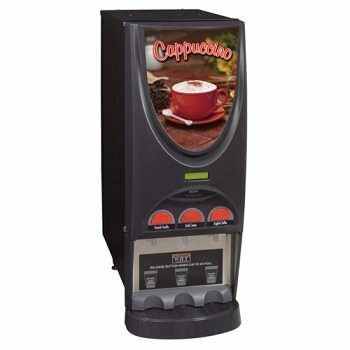 The Bunn iMix-3 Instant Cappuccino Machine was the first instant cappuccino machine that we know of to incorporate an alphanumeric display that allows for easy setting of controls as well as an ability to communicate technical information, machine status, and advertising messages. 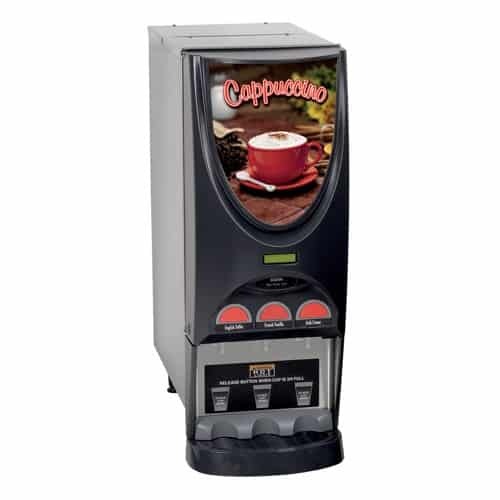 The machine will even send a message when a hopper is low on cappuccino mix. The technological advances also allow the iMix-3 to go into a hibernation mode during low use periods to save energy and prevent stealing of product. 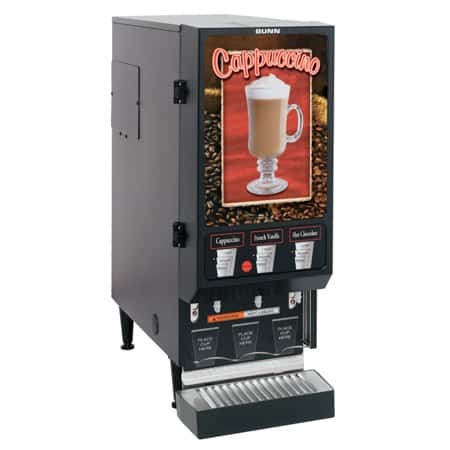 Inside, the Bunn iMix-3 Instant Cappuccino Machine has 3 Hoppers and retains the dependability that Bunn for which Bunn is known. 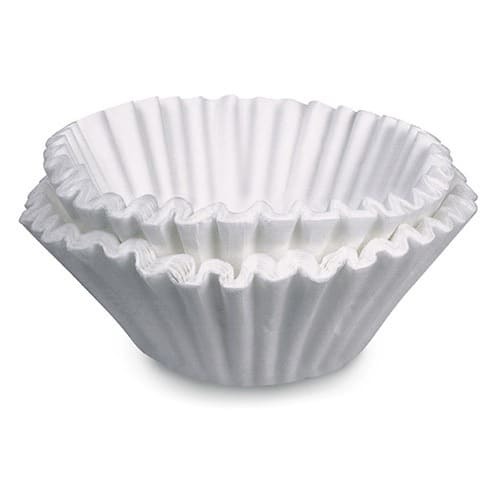 The hot water reservoir holds 4.4 gallons of water at the perfect temperature for dispensing, and the whipping motors are high-quality and whip a perfect froth every time. 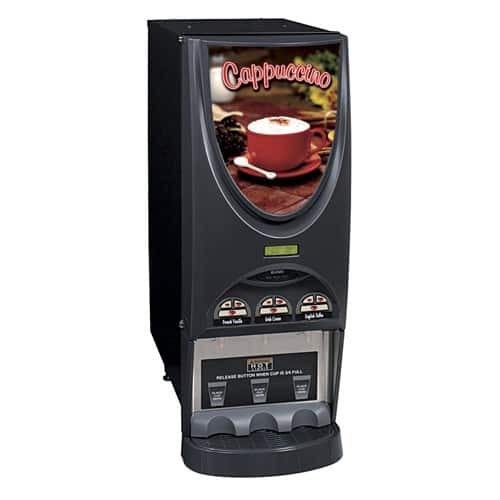 The dispensing buttons will correctly dispense for different cups sizes. 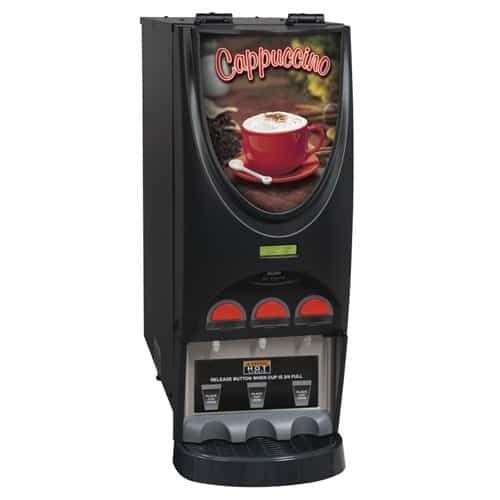 The Bunn iMix-3 Instant Cappuccino Machine can be ordered in black, stainless, or black with portion control. It can also be ordered with a front door that is hinged at the top instead of on the side. Let us know which you prefer.